I received this from Chronicle in exchange for an honest review. As always, my reviews are fair and non-bias. Emily and Charlotte Brontë are about as opposite as two sisters can be. Charlotte is practical and cautious; Emily is headstrong and imaginative. But they do have one thing in common: a love of writing. This shared passion will lead them to be two of the first published female novelists and authors of several enduring works of classic literature. But they’re not there yet. 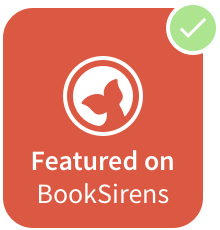 First, they have to figure out if there is a connection between a string of local burglaries, rumors that a neighbor’s death may not have been accidental, and the appearance on the moors of a mysterious and handsome stranger. The girls have a lot of knots to untangle—before someone else gets killed. Historical fiction, particularly YA is fairly new to me. I'm usually a Contemporary girl, or steadfast Paranormal fan, but recently the historical elements have been weaving themselves into my reading habits. I'm sure almost everyone has heard of the Brontë sisters in one way or another and even though this is the first time I was actually learning more about them, I was excited to get some classic fiction into my library. Charlotte and Emily couldn't be more different, and that is definitely clear from the start. But one thing that is undeniably clear is how they became so known for their name and place in history. A true romantic and hard-working girl, Charlotte is always thinking straight and toward her planned future. She follows the traditions and rules and aside from her love of writing, romance plays a huge part in her story, but the thing she wants the most was for Emily to feel at home at the Academy as she does. But Emily is different, she craves a wild adventure, seeks freedom and doesn't want to be tied down to anyone or thing. She had a wandering mind and spirit that couldn't be contained in any space or time. It's no surprise she loved writing like her sister, but that was probably their only similarity personality or hobby wise. Charlotte wants Emily to be more observant and conventional to the times, but Emily wasn't one to follow the rules. I could definitely see why the sisters are loved and how inspiring the scenes in their hometown conjured up their love for writing, especially on the moors that inspired some of their works. Mysteries always hook my attention and Always Emily lived up to my love of them. I found myself turning page after page as the anticipation grew with the telling of the story. Adventure-seeking Emily and traditional-bound Charlotte are spun into the secrets and enigma, building to a novel that any Brontë fan will adore as they work together to piece the pieces of a mystery together. This was my first time reading about anything Brontë, and I'm definitely going to do more research and reading into the sisters that made a massive name in Literature and our novel-loving hearts. The climax of any mystery is always my favourite part. When all the details come together to have made the story possible just gives me that book-buzz. Brontë fans of course, and Historical Fiction lovers will eat this up. And not to sound cover-obsessed, but it is gorgeous! By far one of the most beautiful I've read. 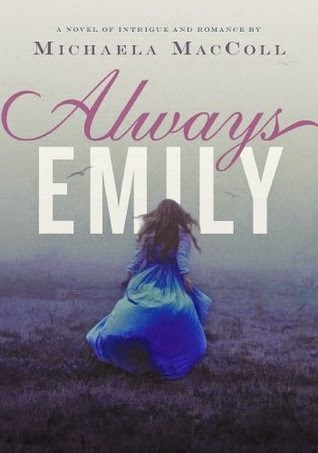 Have you read Always Emily? Usually I'd give books like this five stars, but I just wanted a bigger mystery, you know? I did like knowing more about the sisters and I liked Charlotte a little more too, but I was hoping for a really good Historical-Mystery. It was great, though and you can't beat a new classic read.